JUBA, South Sudan (Morning Star News) – The police officer who accused five church leaders of refusing an order to stop worship services in Sudan again failed to show up at a hearing on Tuesday (Nov. 21), casting further doubt on the legitimacy of the charges, sources said. The officer who arrested the Sudanese Church of Christ (SCOC) leaders after a worship service in Omdurman on Oct. 22 and held them for eight hours, has failed to show up at hearings since Oct. 30, a source who requested anonymity told Morning Star News. The Rev. Ayoub Tiliyan, SCOC moderator; the Rev. 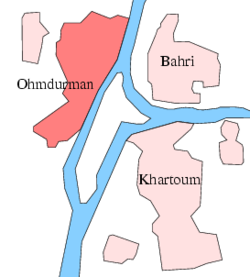 Ali Haakim Al Aam, pastor-in-charge of the block 29 congregation; and pastor Ambrator Hammad, along with evangelist Habill Ibrahim and elder Abdul Bagi Tutu, a member of the SCOC presbytery, were arrested for non-compliance with a supposed government order to cease worship at the site in Omdurman, across the Nile from Khartoum. 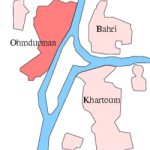 Police entered the SCOC-Harat church compound in the Hai Al Thawra West area of Omdurman and ordered the closure of the church, a move the five church leaders have strongly opposed. The leaders were informed that the Sudanese Ministry of Guidance and Endowments has appointed a new administration for the SCOC that would determine who can worship at which church and when, according to advocacy group Middle East Concern (MEC). The harassment came after police in Sudan detained and questioned another church leader in Omdurman in September and, in August, seven other church leaders were arrested, interrogated and released on bail. Elder Mahjoub Abotrin of the SCOC was arrested from his home in Omdurman on Sept. 22 and was interrogated before he was released. Sources said he was arrested because of his refusal to hand over SCOC leadership to government-appointed leadership. The current leadership expires in March 2018. The SCOC constitution calls for a general assembly every three years to appoint church leaders. Another SCOC pastor, the Rev. Hassan Abdelrahim Tawor, had received a 12-year sentence earlier this year after being charged with spying and trying to tarnish Sudan’s image, but he was freedalong with Abdulmonem Abdumawla of Darfur on May 11 after receiving a presidential pardon.